The Sun transits Sagittarius, your 9th House of overseas/foreign travel, higher learning, publishing, the legal system, philosophy and your religion, Aries. Venus (love, harmony and romance) begins the month in Capricorn. Capricorn is your 10th House of prestige, superiors and your public life. Venus is going to turn retrograde on 12/21 for an extended stay (12/21-2/1/14), so use the first three weeks of December to shine and impress publicly and in areas where superiors and your personal prestige are involved. Once Venus turns retrograde, this same area of your life (10th House) brings about some possible endings and/or physical discomforts and might require some serious soul searching. Your professional relationships and dealings create some uncertainty and could use extra scrutiny. You could be dealing with a broken item or a much needed repair and work may become even more challenging than usual. In other words, you might be working longer hours over the Holidays and taking some assignments home with you in order to complete them. Career matters will play a large role. You could feel suddenly undervalued at your place of employment or feel the need to change jobs or careers altogether. Venus will be retrograde in Capricorn from 12/21 - 1/31/14. The last week of December will have a different energy to it with the planet of love in sync. Since Capricorn is your 10th House, you might find that anything pertaining to authority, your public persona, your career and prestige will not fare as well as earlier in the month. All signs will feel this retrograde but some will be affected in a different way. Venus retrograde is a time when you will be able to negotiate a discount on something beautiful that you may have been thinking about purchasing. Love relationships could encounter some snafus during this last week of December and throughout January. Once 2/14 rolls around, your attitude will change and you decide to stick with what you know best and make the most of the skill sets you have developed. Even though you may experience strong feelings regarding career moves, December would not be an ideal time for you to change jobs or careers, Aries. Mercury (communication skills, logic and reasoning) begins the month in Scorpio and enters Sagittarius on 12/4. With several planets travelling through compatible fire signs, December promises to bring personal, emotional and social fulfillment. Your communication abilities are heightened, your social skills appealing and you shine when out and about while speaking or engaging others who interact with you in personal and professional relationships, Aries. Others will notice your charming personality during this transit which ends on 12/24. Mercury in Sagittarius makes you the life of any party, Aries! Mercury will exit Sagittarius 12/24 and enter Capricorn on 12/25. Expect travel to be appealing and on your mind and definitely on your personal agenda throughout this transit of Mercury in Sagittarius. If you do travel, do your best to be home on 12/20 for ideal results. Venus retrograde is not a favorable time for you to travel as there could be a loss of some type such as luggage or an item of great sentimental value. You find your schedule being turned upside down and inside out. Hard work is called for during the last week of December, Aries. With Mercury in Capricorn and Venus retrograde in the same sign, a less enthusiastic mood prevails. Mars (your motivation, sexuality and physical energy) begins the month in Virgo and enters Libra on 12/7. With your ruling planet, Mars, in the sign of Libra, issues relating to your home life could be consuming you. Domestic matters, marriage, contracts, home repairs and insurance matters finally move forward or get settled this month. Mars in your 7th House also brings a deeper intensity to an ongoing relationship. Couples grow closer this month while singles could meet someone that fits their description of the perfect partner. Sexual desire for someone special escalates during this time. Time spent apart will actually deepen a serious relationship. A New Moon occurs in Sagittarius on 12/2. Sagittarius represents travel, higher learning, publishing and New Moons present new offers and opportunities. Travel is an excellent idea this month, Aries. This New Moon promises to bring news that thrills you, so take note of the date of this New Moon, Aries. Matters pertaining to higher education, publishing and overseas travel will prove to be fortunate for you and promise to uplift you and set your spirits soaring. You could receive a serious offer that is solid and appealing to you. Take it! A Full Moon occurs in Gemini on 12/17. Gemini is your 3rd House of short trips, siblings, neighborhood and community matters. Expect increased communications with groups to which you belong involving neighbors and more socializing throughout this week. Short trips could bring romance to single Aries on this day, while couples ignite a spark and gain a new appreciation of one another. Another Aries and a Libra will have something to say. Special and confidential to Aries this month: On 12/17 Uranus, planet of shock, surprises and things you never saw coming will resume direct in your sign. Get ready for some unexpected, surprising and out of the ordinary experiences when this transit occurs. Uranus is referred to as the planet of revolution. A Cancer would be an ideal companion, love interest or friend to confide in when Uranus is in your sign. Shakeups and things you never thought possible are likely to occur with this planet in your 1st House. 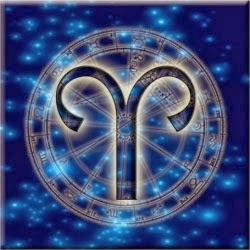 You will enjoy this transit since you love a challenge, Aries! A side note: Tone down your expectations of others on 12/25, Aries. You could be upset or disappointed if you display or have unrealistic expectations from those closest to you, Aries. A Taurus, Scorpio and a Capricorn will be involved. A Taurus, Scorpio and a Capricorn will be on your side, pay attention and listen to you, your hopes and your wishes. A Taurus will be helpful with home and family matters. A Scorpio is sincere and helpful and a Capricorn will have some priceless advice for you.